Showcase your coastal style with the SeaBreeze Shower Curtain. 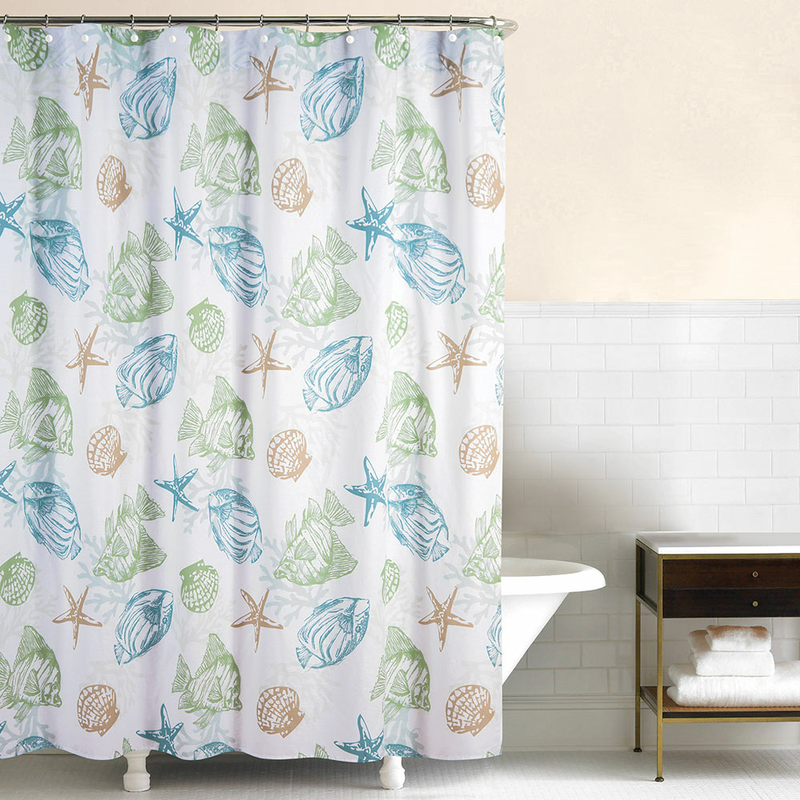 This beach shower curtain is designed with scattered fish, starfish and shells layered over coral in sand, sea green and Aegean blue. Ships from the manufacturer. Allow 1 to 2 weeks. Cannot express ship. For more options, we ask you to take the occasion to shop our entire collection of beach shower curtains at Bella Coastal Decor today.